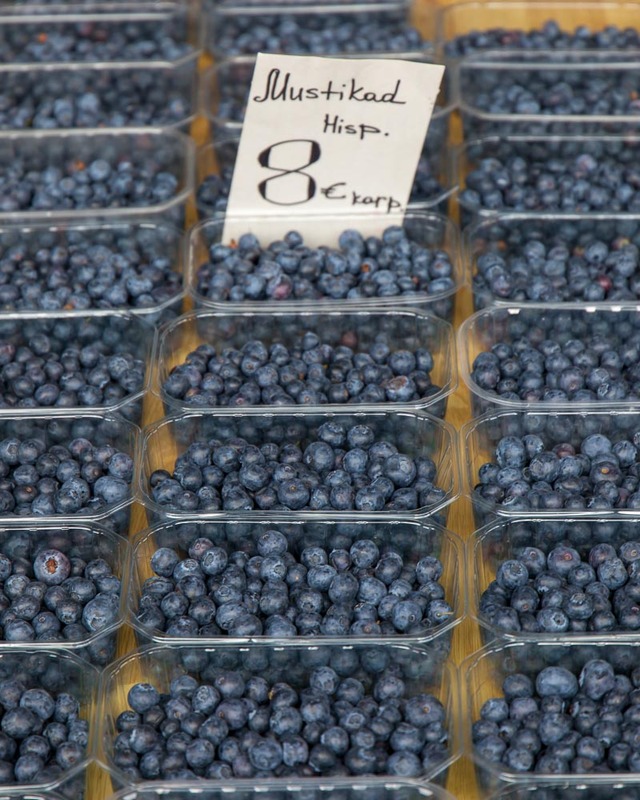 Okay, first things first, I LOVED Tallinn. This city is such a dreamy walk through history before being slapped in the face by urban cool and regeneration. Having heard so much about e-residency and an electronic currency focus, I knew this was going to be a capital city continually evolving, and I was so glad our Princess Cruise stopped here, only a short stroll away from the old-town no less. Estonia might not get that much attention on an international level for its tourism but having visited Tallinn and met some super friendly locals while doing so, I can’t wait to get back and explore the country more. That was undoubtedly a highlight of cruising for me, you get an introduction and can pick out the places that you want to head back to. 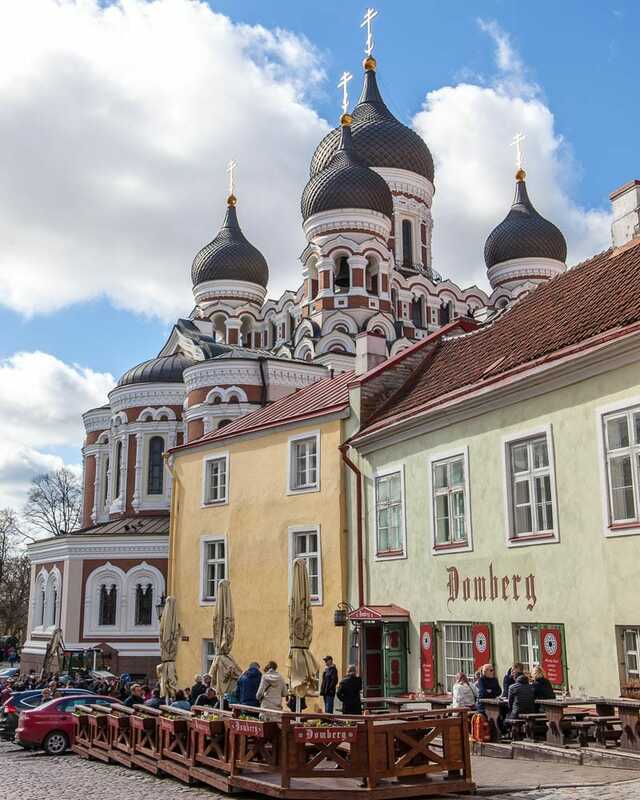 Scroll down to see how I spent my day in Tallin or jump to 1:45 on the video for a memory montage. 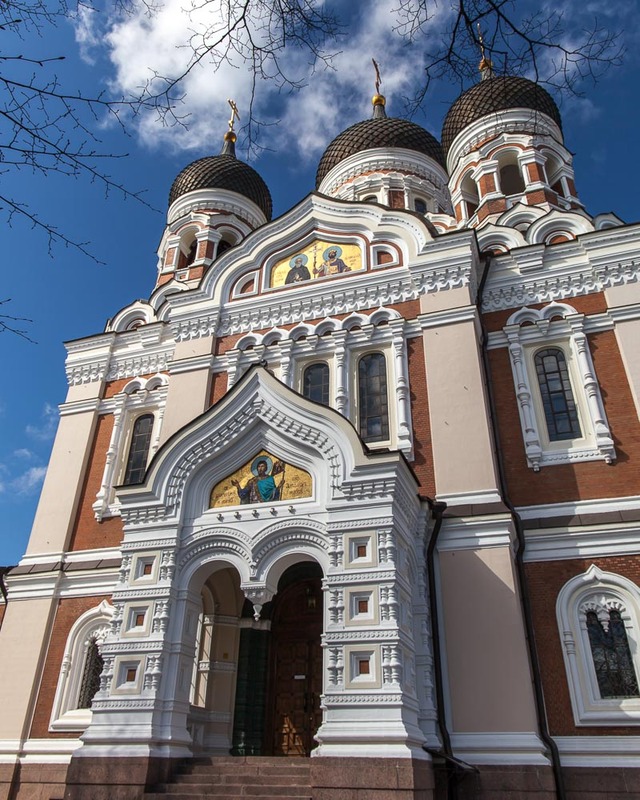 Excursions available: Tallinn is super easy to explore by foot but with a fascinating history, you might want to opt for a private guide. Winetasting, beer making and lighthouse cycle tours are just some of the more unique excursion offerings by Princess. 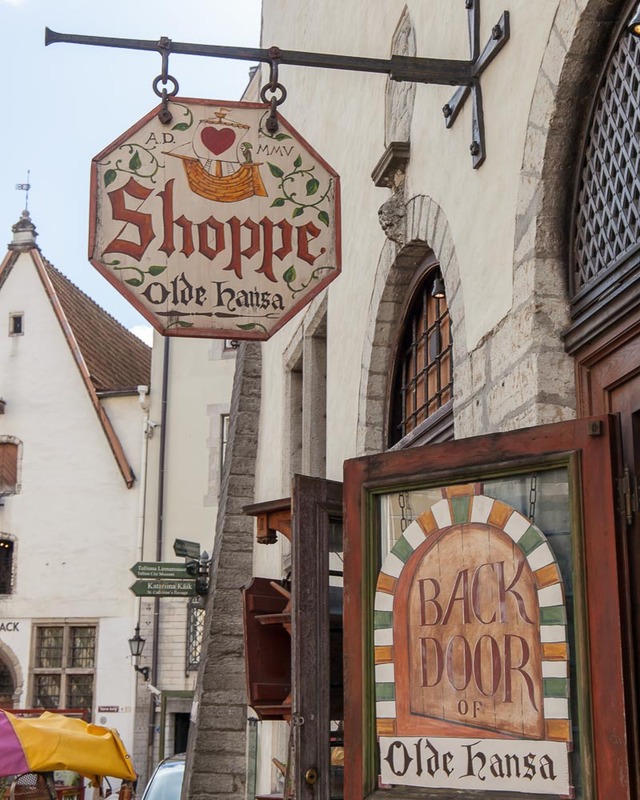 Walking through the Old Town of Tallin feels like stepping back into a medieval world, and not just because of the traditional outfits and shop signs you’ll find around. 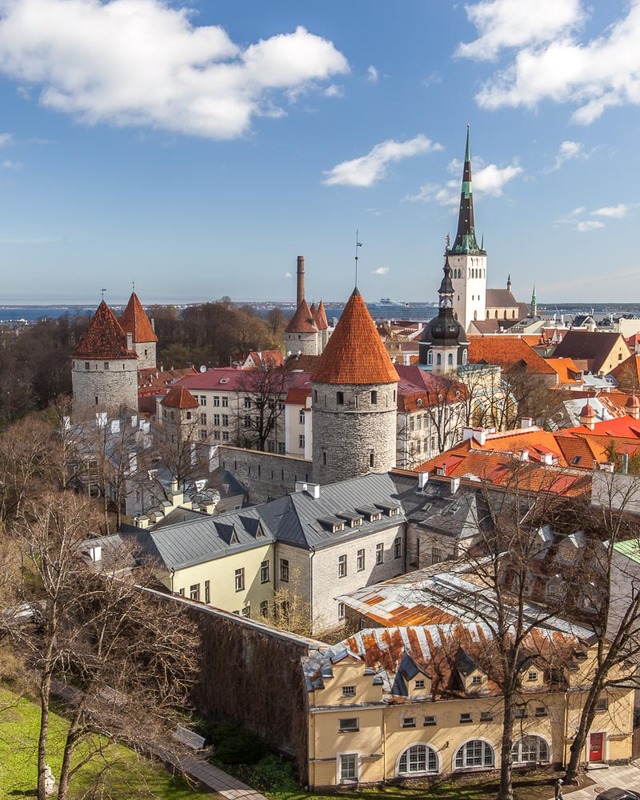 While most of Europe has gone through many changes over the years, the UNESCO inscribed old town of Tallinn has been kept preserved through the centuries meaning that this grand old city built in the 13th-century still retains that charm. Start at the upper part of the Old Town where various viewpoints showcase the red-tiled roofs of the towers and multiple churches across the city. Aleksandr Nevsky cathedral dominates the upper portion and with its domed ceilings and perfect white colour stands out amongst the numerous hues that adorn the other bars, restaurants and gift shops beside it. Just across the road, the Toompea Castle which is the home of the countries parliament is another grand building which you can admire from outside or explore. 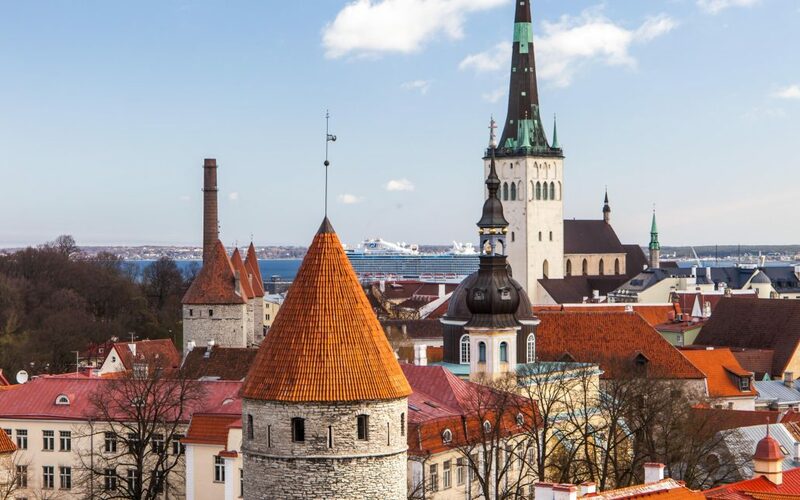 For the best views of the city climb up one of the towers or visit the KGB museum, actually inside a hotel, to learn more about the operations that took place here alongside the Baltic Sea. 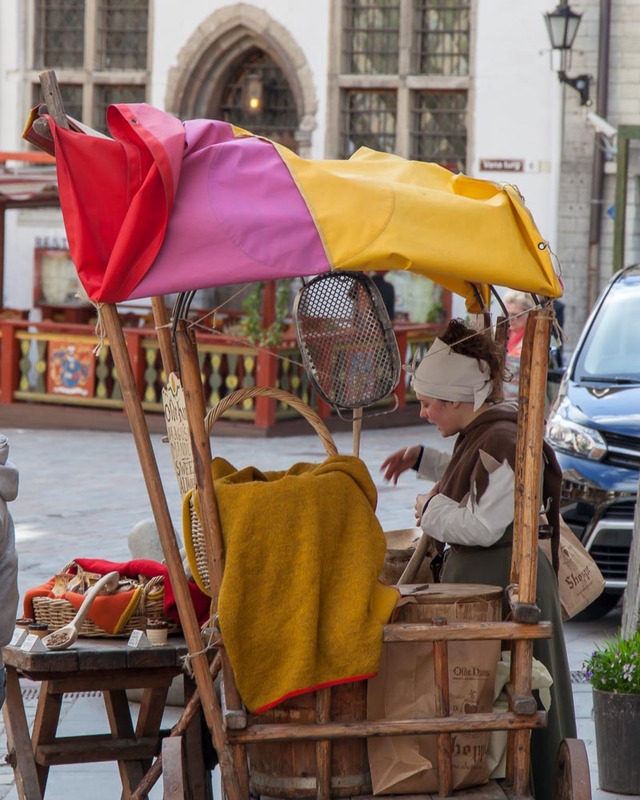 As you walk down to the Old Town Square, you’ll pass various painters and artists selling and creating their works inspired by the colourful buildings around them. Once on the square, grab a coffee and pay the tourist prices so you can sit and watch the world go by and admire the different styles of buildings on each side, the rooftops in particular fascinated me as they were all pretty unique. 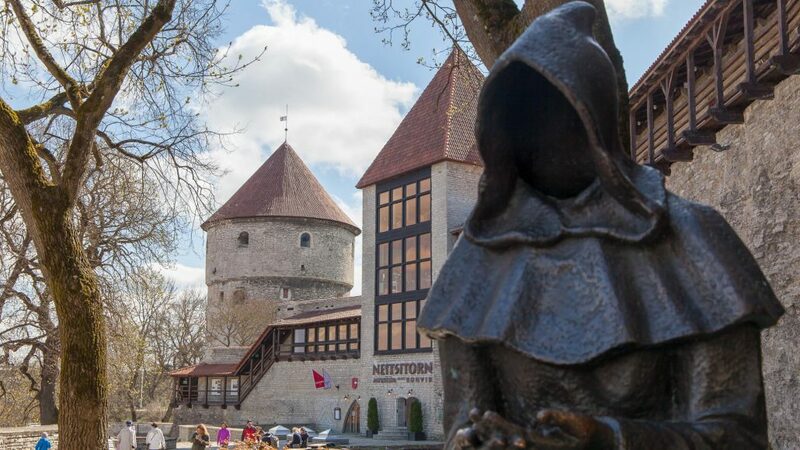 I walked past a lot of museums while in Tallinn, but I felt like the old town was such a museum on its own that I didn’t need to venture into them. I think your time would be better spent climbing one of the towers, ducking into a church or heading up the old city walls which still fortify the old town but you can only walk around a small-ish section of these. 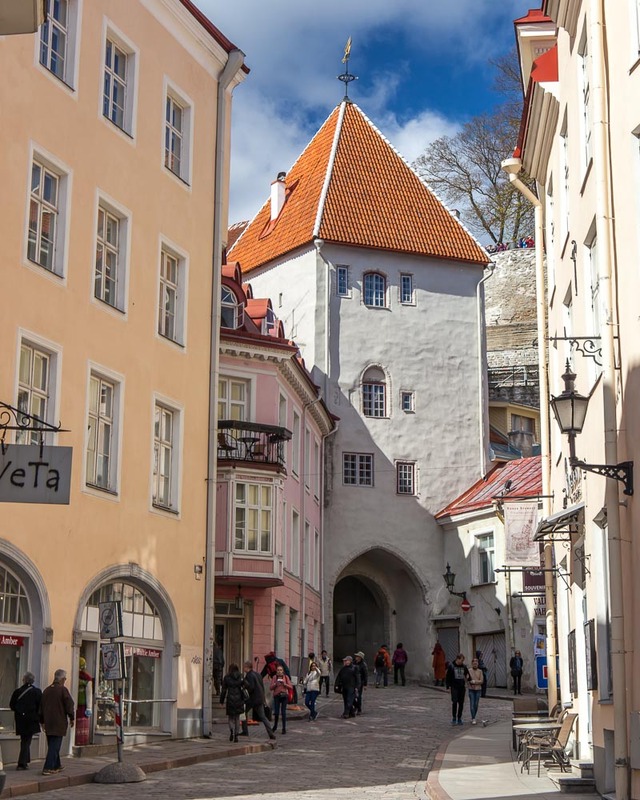 While I think most people tend to spend their one day in Tallinn entirely in the old town, you are really missing out by not seeing both sides of the city. 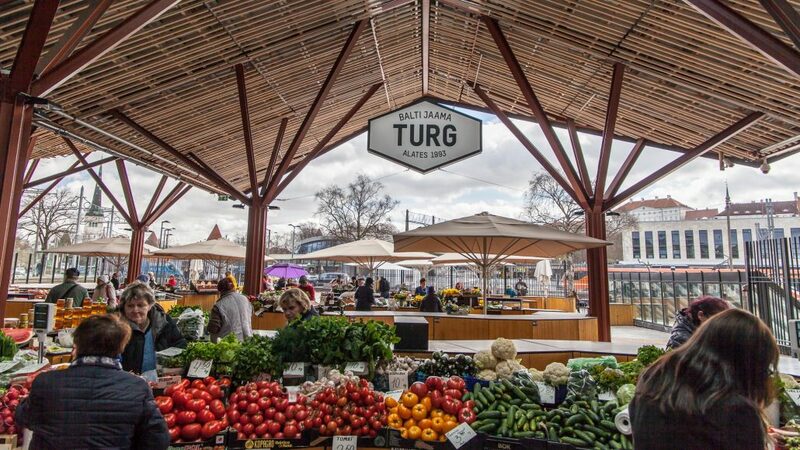 Just across from the train station, Turg Market offers up fresh-food stalls, quirky restaurants and cafes in shipping containers and a completely different vibe from the history crammed into the old town. 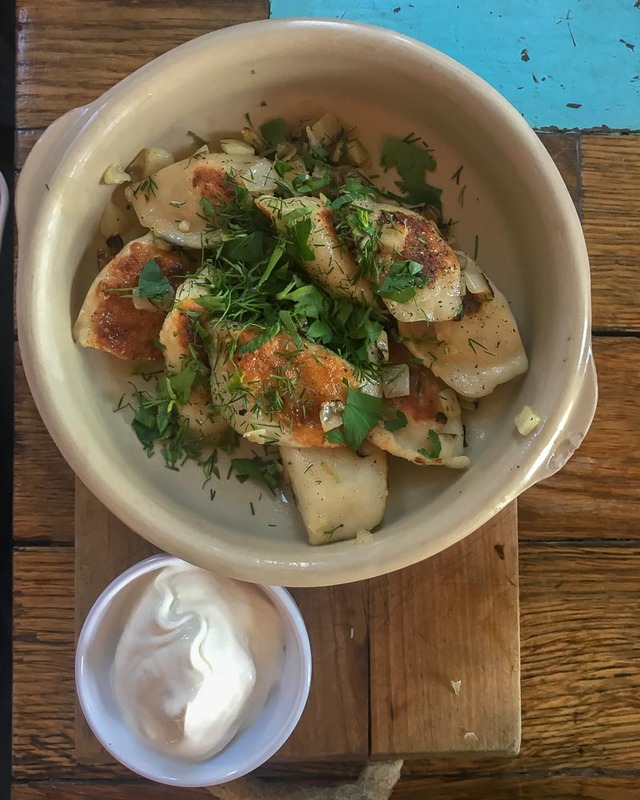 In particular, the area around the back of the train station where warehouses have turned into bars-come-clothes-shops and thrift stalls line up by abandoned trains you can chow down on some great grub, play a game of ping-pong and feel pretty damn hipster settling your beer on an upside down gas drum. 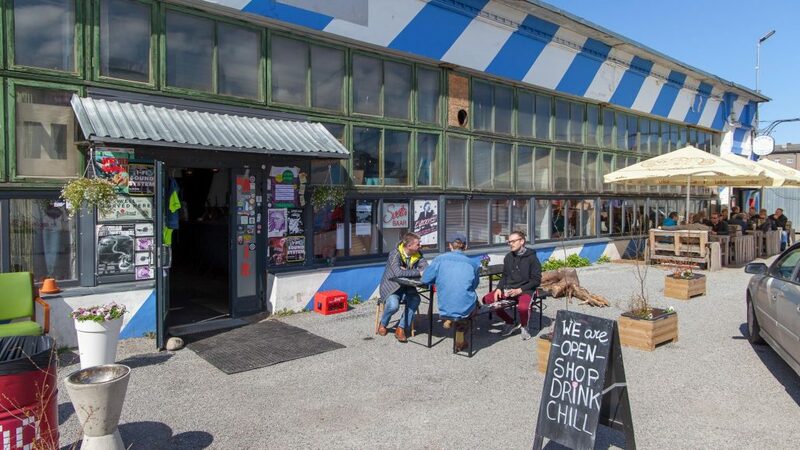 Walk a little further, and you’ll arrive at Telliskivi creative city, a set of old factories in an industrial area that has been completely reimagined into pop-up shops of independent fashion designers, bespoke home furnishings and hip bars and restaurants serving up their own brews and killer coffees. 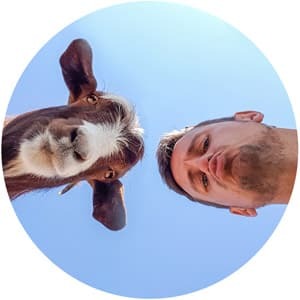 Take some time out to chat with the shop owners and get to know the city through their eyes before picking up some one-of-a-kind souvenirs and supporting local business. Although my time in Tallin was short, I feel like I got a lot out of it. 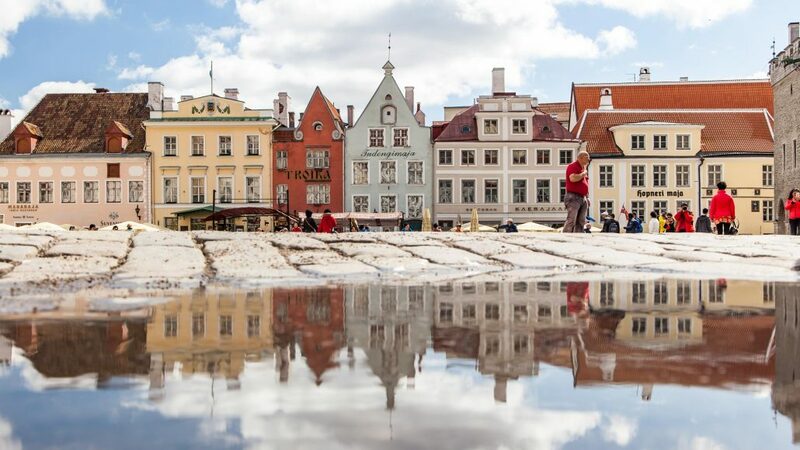 I love cities where you can have two completely contrasting experiences in such a short space of time and the capital of Estonia certainly ticks those boxes. While I’m sure the nightlife would be epic here and it would have been nice to stick around to check it out, I returned to the ship feeling pretty content with my one day in Tallinn and starting to map out my route around Estonia when I return.